YOUR Houston Heating & AC Team. Emergency Repair Available. Courteous, timely and highly-qualified heating and cooling contractors provide you with exceptional A/C repair, maintenance and installation services. If you live or work in Houston, Katy, Spring or any of the wonderful neighborhoods scattered throughout our fair city, then you and your family, like ours, most certainly appreciate the value of a functioning A/C and heating system. And you most certainly notice when your home or office A/C isn’t working right, especially when temperatures outside exceed 90-degrees during much of the year. At Richmond’s Air, our mission is to help homes in the following communities stay comfortable all-year long with preventative maintenance, emergency repairs, and system installation services. Our headquarters are conveniently located near downtown Houston, just blocks from the intersection of the North and Katy Freeways (I-45 and I-10 respectively). 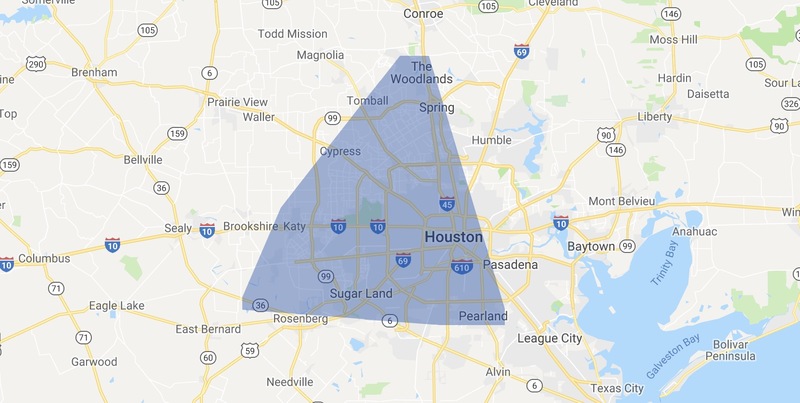 Regardless of where you are in the greater Houston area, we can travel to your location quickly. Call our offices Monday thru Saturday to schedule an appointment or emergency A/C repair service today. To learn more about our heating and cooling services, visit our blog and The Heat Beat for helpful maintenance hints and interesting tidbits about this vital part of your home.